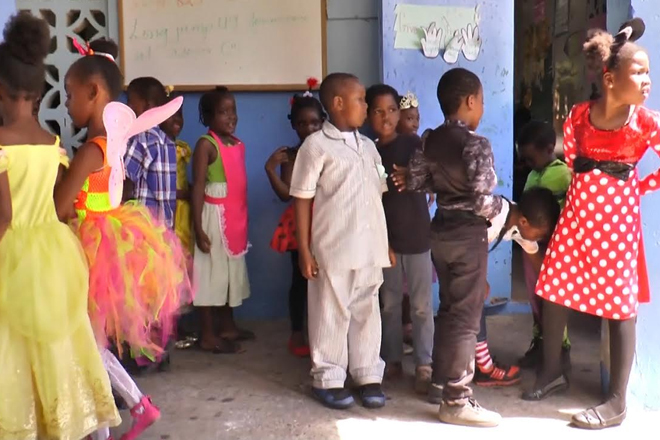 (ZIZ News) — As part of Literacy Week of activities, The Tucker Clarke Primary school hosted a Character Day and Story Telling on Tuesday. A number of students were seen decked out in costumes and multi-coloured outfits depicting a variety of nursery rhyme characters, as part of their “Literacy Week” celebrations. The students were also seen marching through the Newtown community as they showcased their many creatively decorated costumes. 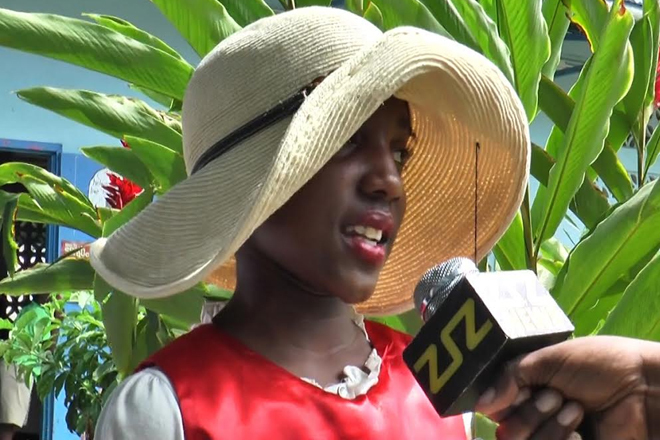 Grade 5 students Iniyah Walwyn and Toni Allen told us why they chose their characters. Walwyn said she chose Little Bo Peep because she inspires her to never give up whenever she is unable to find whatever she has lost. Toni Allen said she dressed up as the star in “Twinkle Twinkle Little Star” because that is her favourite nursery rhyme. 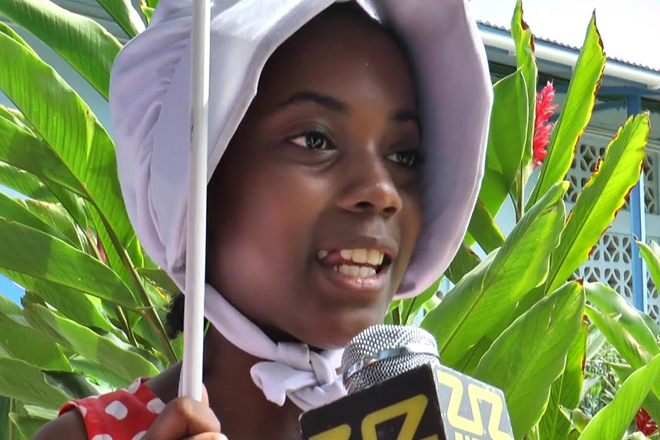 Shortly after, Grade 3 students Josiah Benjamin And K’zariah Anthony also shared the inspiration behind their costumes. Benjamin said that he dressed up as “Humpty Dumpty” because that story is his favourite of all nursery rhymes while Anthony explained that “Little Ms. Muffet” inspired her to never be afraid of little spiders. The Literacy Week of Activities also includes a T-Shirt, Tag Day, Literacy Exhibition and an Elocution Contest. Literacy week will then wrap up with a Grand Literacy Parade on Friday morning. The Tucker Clarke Primary School’s Literacy Week of activities is being held under the theme, “Promoting Literacy, Stimulating Creative Minds”.